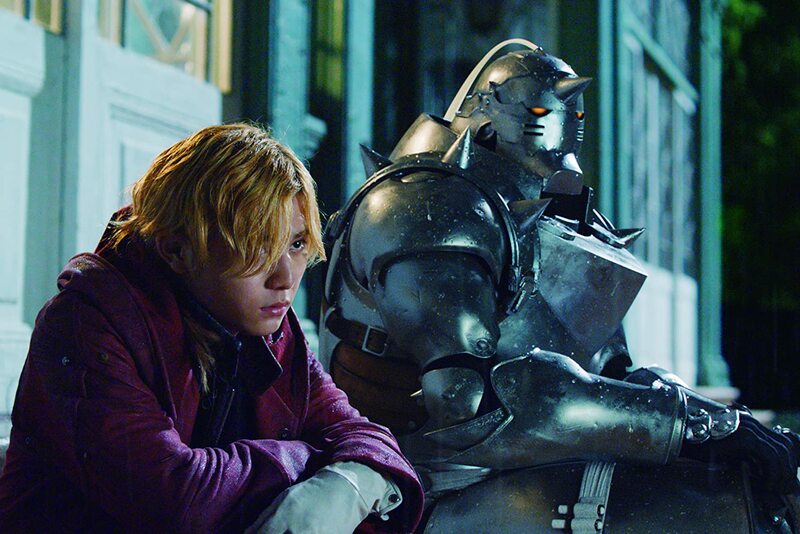 The much-awaited live-action movie adaptation of the hit manga and anime series Fullmetal Alchemist is getting mixed reviews from fans and movie critics alike. Fullmetal Alchemist tells the story of state alchemist Edward Elric and his search for the legendary and powerful Philosopher’s Stone in order to bring back and reunite his brother Alphonse’s body to his soul. The manga was written by Hiromu Arakawa in 2001 which ran until 2010. It spawned two anime series and two animated films before it was adapted into a live-action movie. The movie garnered an average rating of 5.9 over 10 from movie critics and an audience score of 69% on Rotten Tomatoes, and 5.6 over 10 on IMDb. The movie received praise for its spectacular CGI effects and cinematography but was criticized for its length, storytelling, plot, and acting. Variety called it “a mixed bag of eye-catching visuals and uneven storytelling”. Nerdist‘s Scott Beggs raved about its cinematography and costume design, stating that it was the “perfect living cartoon”, and that the costumes were a “cosplayer’s dream”. However, he also pointed out the movie’s inconsistencies, emphasizing that “the thinness of the plot doesn’t do justice to the characters or the jaw-dropping visuals and design.” Den of Geek‘s Daniel Kurland chides the movie for its length, narration, and acting, saying that “it’s easy to lose track of what’s going on thanks to a complicated, confusing plot and a cast that doesn’t always hit the mark”. I’ve watched 15 minutes of the Netflix Fullmetal Alchemist movie and so far it just feels like I stubbed my toe at the beginning of the movie and now I’m just waiting for it to feel better. …it still doesn’t and is only getting worse. Watching the live-action #FullMetalAlchemist on @netflix, it is so awesome! Fullmetal Alchemist is Netflix’s second attempt to feature a live-action movie adaptation version of a well-loved anime/manga series. Last year, the online streaming channel produced an adaptation of Death Note, which received far more dismal ratings on Rotten Tomatoes, and generally harsh criticism from audiences. FullMetal Alchemist stars Ryosuke Hamada, Atom Mizuishi, Tsubasa Honda, Dean Fujioka and Yasuko Matsuyoki and is directed by Fumihiko Sori. The film premiered last 18 February 2018 on and is still available on Netflix as of writing.